This year has seen several outbreaks of Measles across the globe. From Venezuela, to the Philippines and the Democratic Republic of Congo, increased cases of the viral infection have been reported. Recent attention has turned to the hundreds of cases that have occurred in Europe, however. In Italy, France, Greece and the UK, high numbers of measles infections have resulted from a reduction in the uptake of the MMR vaccine. This has caused authorities such as the CDC to recommend that travellers ensure that they are up to date with their childhood vaccination schedule before travelling abroad to Europe – especially during the summer months when travelling to Europe for holidays with children. Measles is one of the most communicable infectious diseases, with the potential for serious life-threatening complications. In 1980, before widespread vaccination, the measles virus caused an estimated 2.6 million deaths worldwide. The disease remains one of the leading causes of death among young children globally, despite the availability of a safe and effective vaccine. Also in the most vulnerable groups are: adults over 20 years of age; pregnant women; and people with compromised immune systems, such as those with leukaemia and HIV/AIDS. The overwhelming majority (more than 95%) of measles deaths occur in countries with low per capita incomes and weak health infrastructures – particularly in parts of Africa and Asia. Measles is one of the most contagious viruses ever discovered. It is spread by coughing and sneezing, by close personal contact or by direct personal contact with infected nasal secretions. Up to 90% of susceptible persons in close contact with measles patient will develop measles. The most remarkable thing about the virus is that it’s incredibly hardy. If you were unvaccinated, you could catch the virus from droplets left in the air by an infected person who had coughed in the room hours earlier. No other virus can do that. It also lives on surfaces for hours, finding new hosts in the unimmunized. It can be transmitted from 4 days prior to the onset of the rash, to 4 days after the rash erupts. The virus infects the mucous membranes and then spreads throughout the body. Measles is a human disease and is not known to occur in animals. After an incubation period of 10 to 12 days, measles appears as a fever, cough, stuffy/runny nose, and bloodshot and watery eyes. Loss of appetite and low energy are common too. Several days after these initial symptoms, an uncomfortable spotty rash begins to spread all over the body, starting on the face and neck, and moving downward – it also causes white spots on the inside of the cheeks. The rash usually lasts for 3 to 5 days and then fades away. In uncomplicated cases, people who get measles start to recover as soon as the rash appears and feel back to normal in about 2 to 3 weeks. In most cases, measles is not deadly, but it’s almost always debilitating, bringing on a weeks-long fever, rash, and painful, watery eyes. Up to 40% of people experience complications, and 1 or 2 children in 1,000 die. Rarely, behavioural and mental deterioration and seizures 7-10 yrs after infection. No specific antiviral treatment exists for the measles virus. Severe complications from measles can be avoided through supportive care that ensures good nutrition, adequate fluid intake and treatment of dehydration with oral rehydration solution. This solution replaces fluids and other essential elements that are lost through diarrhoea or vomiting. Antibiotics may be prescribed in the event of eye and ear infections, and pneumonia. Infected people should be isolated for 4 days after they develop a rash. People who are at risk of severe illness and complications from measles, such as infants younger than 12 months of age, pregnant women without evidence of measles immunity, and people with severely compromised immune systems, should receive immunoglobulin injections where this is available. All children in developing countries diagnosed with measles should receive two doses of vitamin A supplements, given 24 hours apart. This treatment restores low vitamin A levels during measles that occur even in well-nourished children and can help prevent eye damage and blindness. Vitamin A supplements have been shown to reduce the number of deaths from measles by 50%. People who recover from measles are immune for the rest of their lives. Routine measles vaccination for children, combined with mass immunization campaigns in countries with high case and death rates, are key public health strategies to reduce the number of global measles deaths. The measles vaccine has been in use for 50 years. It is safe, effective and inexpensive. It costs approximately $1 US to immunize a child against measles. 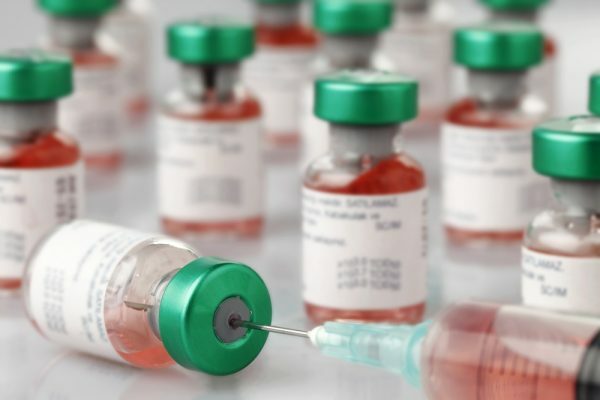 Two doses of the vaccine are recommended to ensure full immunity and prevent outbreaks, as about 15% of vaccinated children fail to develop immunity from the first dose. The measles vaccine is often incorporated with rubella and/or mumps vaccines [MMR vaccine] in countries where these illnesses are problems. Adding rubella to measles vaccine increases the cost only slightly, and allows for shared delivery and administration costs. The measles vaccine is not licensed for use on babies younger than 12 months. That means that, for the first year of life, babies depend on the fact that everybody else around them gets vaccinated. This essentially creates a firewall: if other people are vaccinated, they won’t catch the disease – and won’t spread it to young children who cannot get protection. This is what scientists call “herd immunity,” and it’s an important reason why vaccination is so successful. The shots are not just about protecting ourselves from measles, mumps, the flu, or other diseases. They are about making it really hard for those who are medically frail (like the elderly) and those who can not get the vaccine (often babies and pregnant women) to catch a disease that could be devastating to them. The vaccinated people form something like a fence around the vulnerable people, making it more difficult for the disease to penetrate. Over the last 30 years, the incidence of the disease has dropped dramatically. In 1980, around 2.6 million died globally from measles and by 2013 that number was just 145,700. But measles continues to circulate around the world, even in places you do not always think of as hot beds of deadly infectious diseases. In the last few years there have been many thousands of cases of measles reported in Europe – thwarting Europe’s goal of eliminating the disease by the end of 2015. In the US in the year 2000, measles was declared eliminated on the grounds that there was no endemic measles transmission recorded for 12 months. However, measles is common in many parts of the world and outbreaks have still occurred every year since, through returning travellers. Last year, more than half of around 600 measles cases in the US were caused by a single unvaccinated Ohio man returning from the Philippines – where the disease was circulating – and spreading measles to his similarly unimmunized community. Debate is going on around the world, especially in affected communities, about the recommendations for measles vaccination in populations. The dilemma hinges on whether or not the vaccination program should be made compulsory. There have been claims in the past – later discredited – that the vaccines could be linked to autism. Medical professionals and governments around the world say vaccination is safe and recommend it as a preventative measure. The measles virus could theoretically be eradicated, never to infect another human again. That is because it fits the profile of diseases that can be eradicated: people, and not animals, are the only carriers of the virus (so eradication would not require killing off an entire animal species); there is an effective vaccine; and there is a readily available and accurate diagnostic test to identify the disease. Globally, there is some good news on this front: during 2013, about 205 million children (84% of the world’s children) were vaccinated against measles during mass vaccination campaigns in 34 countries – an increase from 73% in 2000. All WHO Regions have now established goals to eliminate this preventable killer disease by 2020. But this is not enough for total eradication. While most (about 95%) of today’s outbreaks occur in developing countries, particularly in Africa and Asia, measles can take off anywhere, as long as there are enough people who did not get the vaccine.